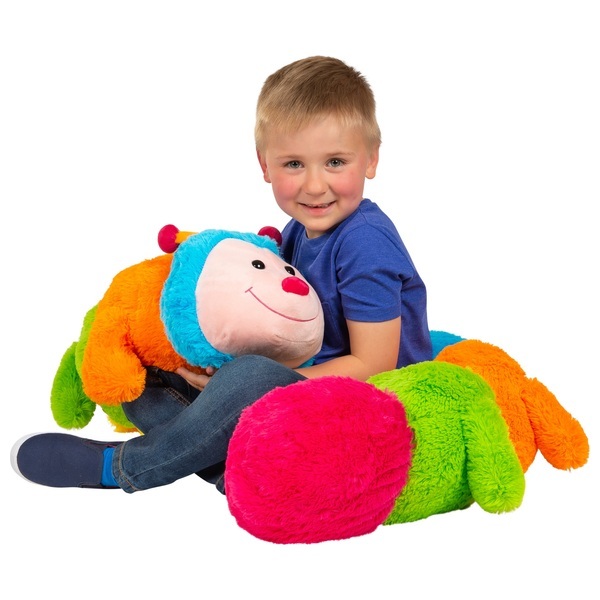 This 190cm Cleo the Caterpillar doesn’t have to wait to transform into a butterfly to be beautiful and colourful. Cleo the Caterpillar is already beautiful in her bright colours. She is a great way of introducing colour to little children. Cleo is made from soft material ideal for cuddling. EU Warning: Remove tag and all plastic fasteners before giving to a child.